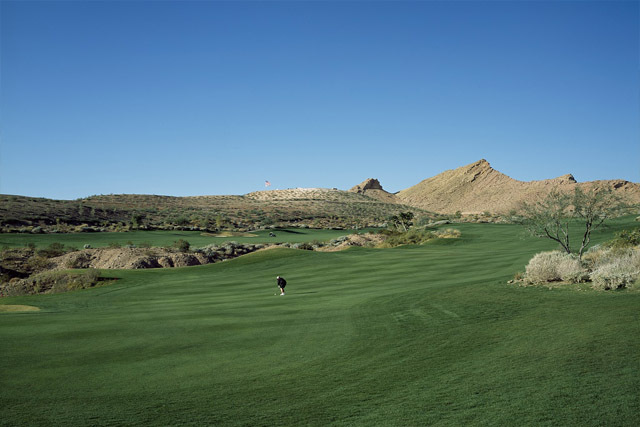 Reflection Bay has the honor of being the first public golf course in the Las Vegas area that was completely designed by Jack Nicklaus. This amazing course is the home of the nationally broadcast Wendy’s Three-Tour Challenge, which benefits the Dave Thomas Adoption Foundation. 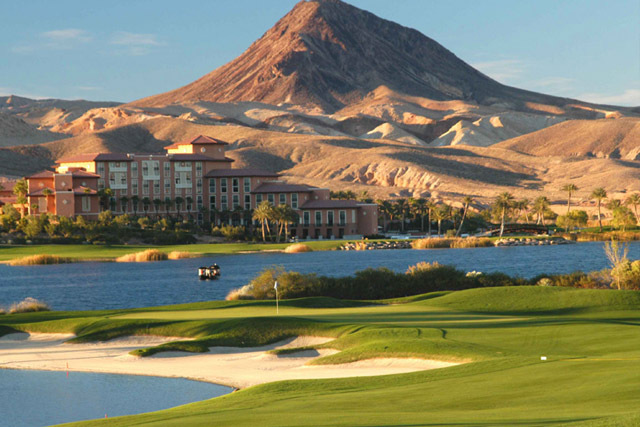 Reflection Bay spans 7,261 yards and is a par 72 course. 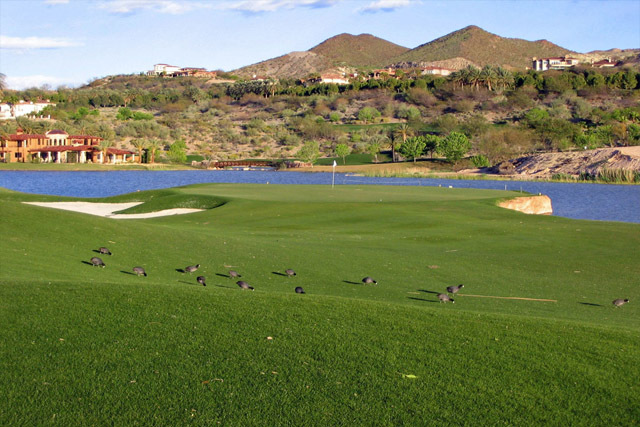 As you wind through the course, you not only view scenic desert spots, but you work towards breathtaking views of Lake Las Vegas. Reflection Bay is a perfect blend of pristine palms, rolling greens, three waterfalls, challenging bunkers, and marvelous views. 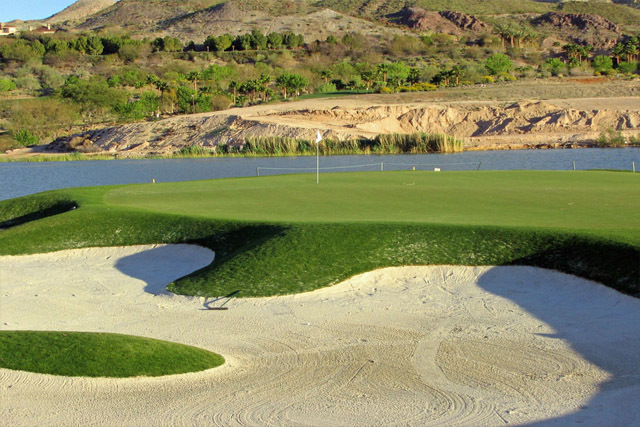 Five holes are located along over a mile of Lake Las Vegas shoreline. 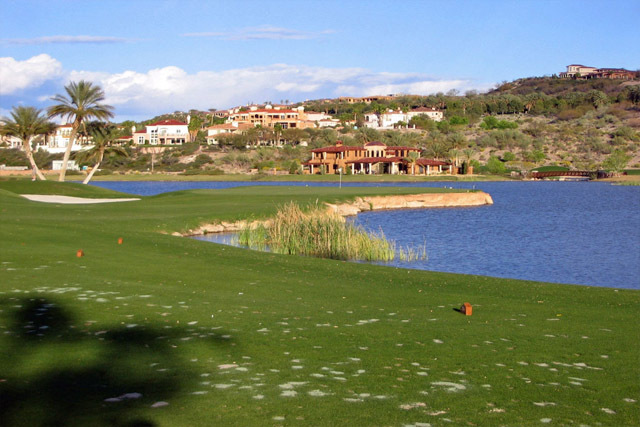 Reflection Bay is the home of the Golf Institute at Lake Las Vegas. The Golf Institute offers lessons to improve your game, as well as private instruction for people that need some extra help. Beyond golfing, the MiraLago Mediterranean Cafe offers wonderful food and a pleasant dining atmosphere. Playing at reflection bay was all worth it, an excellent experience. Awesome views along the lake. Can't wait to get back in Vegas.